Nowadays, with traditional advertising on its deathbed, social media advertising is quickly becoming the primary outlet for all marketing. There has been an increase in the number of social media outlets over the past few years, and the number of people using them has skyrocketed. Moreover, the usage of social media shows no sign of stopping and is going to increase among the masses with every passing day. Everyone these days has access to the internet on the go, with smartphones becoming more readily available with every passing year. People rarely use the traditional call and messaging features on their phones these days, choosing to use services like WhatsApp and Messenger instead. Another rising trend is the sharing of public content. This includes social media applications such as Snapchat and Instagram. Both allow users to share photos and videos, the former temporarily only while the latter permanently as well. Both are seeing a vast amount of attention from the masses, and while the former has its unique use, it’s the latter that happens to be the one everyone needs to pay attention to. Instagram is quickly becoming the one social media outlet that matters. Being owned by social media pioneer and giant, Facebook, Instagram has existed since the start of this decade. It has quickly risen in popularity and importance for users and now sits at 800 million plus users. The number of people using Instagram is staggering. Out of those 800 million, 500 million plus people log into Instagram every single day. There are an enormous 4.2 billion likes on the application every single day from users all over the world. There are 95 million plus posts on it every single day, with users sharing videos and photos. To localize the numbers, nearly 30% of all citizens of the United States happen to have Instagram accounts, with 77 million Americans using the application at least once a month. Beyond that, more than half of the millennial population in the country use Instagram every single day. The usage of it also happens to be almost equal for both genders, with males representing 51% of the user base, while females make up the other 49%. Hence, the number of people using the application regularly is nothing short of remarkable. These numbers make Instagram the top social media outlet currently, and by an effective margin. One of the critical aspects of marketing is reaching people. With the figures mentioned above, you can see just how much of a reach Instagram allows businesses. Hundreds of millions of people are available through a series of 5 or 6 clicks. This huge user base is bound to increase over the coming years, and with people being added to the user base, the number of people businesses can reach is just immense. The potential can say to be unknown. Millennials are the people who use Instagram the most. Scrolling through their Instagram feed is an everyday task for them. The millennial population also happens to be the target of numerous businesses, With Instagram, such businesses can market directly towards millennials on a platform that millennials use every single day. This direct link to millennials can be handy if exploited smartly and in the correct manner. Hence, for businesses who happen to have millennials as their targeted user base, using Instagram to its full potential would be the best marketing solution and plan. The number of businesses actively using Instagram is rising and is projected to increase manifold with every passing year. 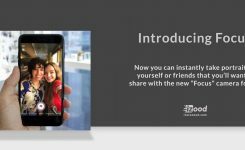 Instagram offers a great opportunity for new companies and businesses and allows them to target customers with what Instagram offers immediately. With the number of companies using Instagram increasing with every passing moment, you need to keep up with the trend and with your rivals as well. Instagram is the competing ground where marketing strategies can allow you to reach uncountable people. And all of your competitors are naturally moving towards just that. In the old days, companies had to use surveys in order to obtain customer opinions. With the rise of social media, businesses can now interact directly with customers. The comment feature on Instagram, for example, can allow customers to share their thoughts at any moment. A single comment on a post will enable the customer to review not only a product or service but also ask questions. And by replying to customers, a business can make sure that they are satisfied or not. Beyond that, finding out about what customers need has become more comfortable, saving businesses money and effort. 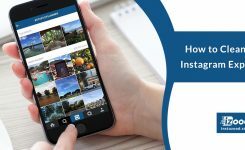 With so many benefits, Instagram is a highly important platform for all businesses in the current day and age. Businesses can market their services and products directly to a huge number of people and share information at any time with just a few clicks. The idea of sharing information and answering questions also allows them to improve customer satisfaction and take care of customer needs. Considering all this, your business needs to start being active on Instagram immediately.